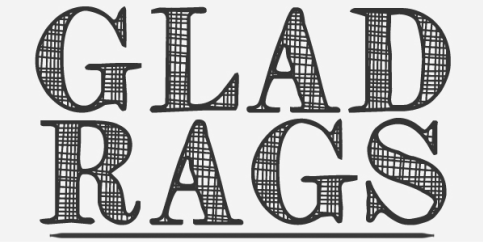 GLAD RAGS is a short form documentary series that catalogs the cross-country adventure of two ladies to connect the threads in the story of vintage clothing. The story will be told through the fascinating people who buy, sell, live, and love vintage. We hope to explore the history of textile production in the U.S., and what qualities allow a piece to sustain value in our "throwaway" culture. The title “Glad Rags” refers to the 1920s slang for your swankiest outfit. Vintage clothing is unique - it's green! Every piece of clothing has a story that shouldn't have an end. This is our chance to continue that story. Part of what makes vintage clothing special is that one-of-a-kind vintage pieces are not only fashionable, they are environmentally friendly. It’s our job to help prevent unique and valuable textiles from making their home in landfills instead of in our closets! Our mission is to shed light on the underground industry that is vintage and the history of the textile industry that created it. We will illustrate how easy it is to become a part of the sustainable fashion movement while reducing your carbon footprint, and look good doing it! In the summer of 2013, we shot along the East Coast interviewing for Season 1 of the series - in Massachusetts, Rhode Island, Connecticut, Washington D.C., and North Carolina. Season 2 will be shot on the West Coast in 2014. Do you know a person or place of vintage or textile interest? E-mail us at gladragsdoc@gmail.com and it would be our pleasure to meet and interview them!